Northern Ireland based poultry processor and prepared foods supplier, Moy Park, have been bought by US firm Pilgrim’s Pride Corporation for £1bn ($1.3bn). Moy Park has operations in the UK and Continental Europe and was owned by JBS S.A.
“Following our successful acquisitions of GNP and the assets in Mexico, Moy Park represents a logical next step in the evolution of our geographical and brands footprint. The acquisition gives us access to the attractive UK and European markets, which advances our strategy of diversifying our portfolio to be more global while reducing volatility across our businesses. We will have new business opportunities through the addition of Moy Park’s fully integrated poultry production platform and its strong presence in prepared foods. Janet McCollum, Chief Executive of Moy Park added: “This announcement is a positive development for Moy Park and all our colleagues employed across the business. Pilgrim’s is one of the leading chicken producers in the world with a proven track record and we see great opportunities for Moy Park as part of this successful business. Joining Pilgrim’s gives us the opportunity to accelerate our growth plans, share best practices and leverage Pilgrim’s expertise and operational excellence. Since its founding in Northern Ireland in 1943, Moy Park has established a strong reputation for providing fresh, high-quality and locally farmed poultry products, as well as a track record of delivering top quartile profit growth. As a top 10 UK food company and one of Europe’s leading poultry producers, Moy Park brings to Pilgrim’s a fully integrated, market-leading platform with more than 800 farmers across the UK. 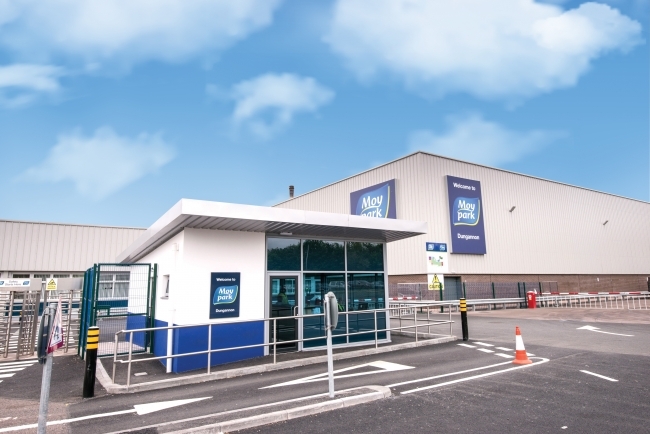 Moy Park processes more than 5.7 million birds per week and has 13 processing plants located in the UK, Ireland, France and the Netherlands supplying major food retailers and restaurant chains in the UK and Continental Europe.